I’m a fantasy author, but it may surprise you to know that my first love was science fiction. 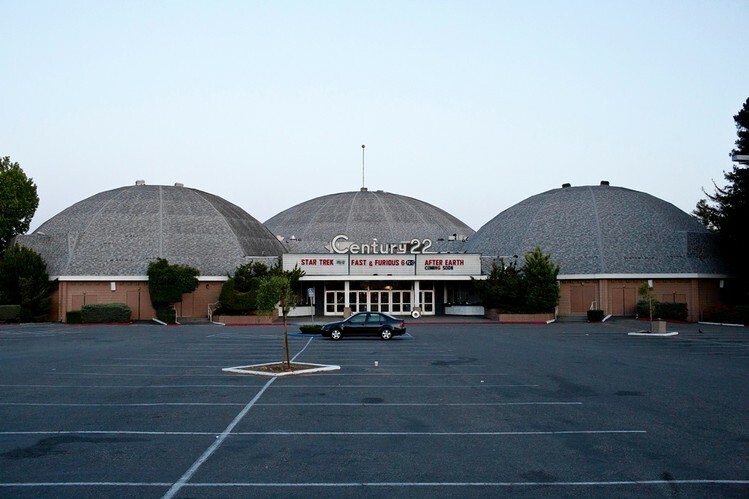 I still have strong memories and impressions dating back to 1977 when I was sitting in the Century movie theaters on Winchester Blvd in San Jose (which, incidentally, kind of looked like a trio of mini-Death Stars) and watching Star Wars. You know, the original. That was an event that shaped my love of the genre. So in honor of Rogue One coming out next month, I’m dedicating this blog to the science fiction favorites of my childhood and why I loved them. Star Trek: it was a tradition in my house on Saturday afternoons to watch re-runs of the original Star Trek. I loved the cheesy fight scenes where Kirk always got beat up but still managed to win the fight in the end. Troubles with Tribbles always made me laugh. Harcourt Fenton Mudd. Some episodes were funny. Some were scary. I loved it when Spock nearly broke into a smile when he realized he hadn’t killed his friend Jim Kirk after all in a fight-to-the-death scene. Phasers set to stun! Star Wars: I can still remember feeling the movie theater trembling as the Star Destroyer went overhead. Light sabers were so cool, but I was afraid of them at first because one wrong move and you lose a limb. I favored Han Solo more than Luke (“Hoke religions and ancient weapons are no match for a good blaster at your side, kid!”) and when he showed up to save the day as Luke was about to destroy the Death Star, I wanted to jump out of my seat and cheer. The Black Hole: this was a much-hyped Disney movie that I was so excited to see but it was actually very boring. I wanted to like it! I was incentivized to like it. The thought of a space station perched at the edge of a black hole was so cool and the special effects were not Star Wars level but interesting. Maximillian the robot with the helicopter blades was terrifying. I loved Vincent the floating droid. Lost in Space: not the lame movie but the original TV show! This is about a family that literally gets lost in outer space and visits strange planets. Great family dynamics and the robot was just funny and cool. The theme song was a favorite of mine for years. The villain/antagonist (Dr Smith) kept shifting from conniving to cowardly to pathetic. In fact, I think Maderos created the word pethet just to describe him. But I still remember the show very well. My brothers and I used to make paper characters out of the various cast members and play with them. There was no such thing as binge-watching back then! Battlestar Galactica: I mean the 1978 version. My favorite character was Starbuck, the smooth talking gambler and best friend of Apollo. This was Top Gun but with strange Egyptian-like jets. There was also some interesting religious symbolism woven into the story line (the Lost Tribes and other subtle nods that I appreciated). The Cylons were great baddies. Seeing the roving red lights on their helmets and the noise they made was akin to Vader’s mask. I loved the sound effects of the ships and the dog fights in space. And Starbuck, of course, who could never decide which girl he loved most. Buck Rogers in the 25th Century: Buck and Wilma, what else can I say! The chemistry between those two characters was amazing. I also loved the cheesy karate fighting that Buck would do, as if all martial arts vanished in 5 centuries of technology adoption. He was clever and funny and always breaking the rules. But he was a Virtus character, one willing to sacrifice himself for the good of others. Twiki, the robot, drove me nuts, even though the voice was dubbed by Mel Blanc. Scariest episode? The space Dracula guy. The Six Million Dollar Man: and also the Bionic Woman. Loved both shows. As a kid, it was fun pretending you could lift heavy objects or run super fast (but in slow motion) just by mimicking the sound effect they’d use. I was terrified by the Fembots, especially when their faces came off. And the all-time most intense episode was the Death Probe ones. Bionic man versus intelligent machine. Loved and feared it. The Incredible Hulk: I categorize this as science fiction, right? Bruce Banner always homeless and getting into trouble. Lou Ferigno with dusty green skin shows up to smash things and growl. I used to play The Hulk on the playground at school as a kid instead of soccer or kick ball. Star Blazers: my first venture into Anime. I can still hear the theme song in my head. The earth has been bombarded from space by poisonous bombs that are destroying all life on our planet. The faithful crew of the Argo go on a quest to stop the destruction and heal the planet. The best part? The ship’s most powerful weapon—the wave motion gun. Want one! Robotech: my second major foray into Anime. I liked the first season best and have been re-watching it on Amazon Prime lately. It’s about a race of giant aliens, the Zentraedi, who are seeking to reclaim a lost battleship which crash landed on earth. The humans have rebuilt it and use it to defend the earth against the invaders. The technology, called Robotech, enables them to built F-14 tomcats that can transform into battle droids. Cool stuff! 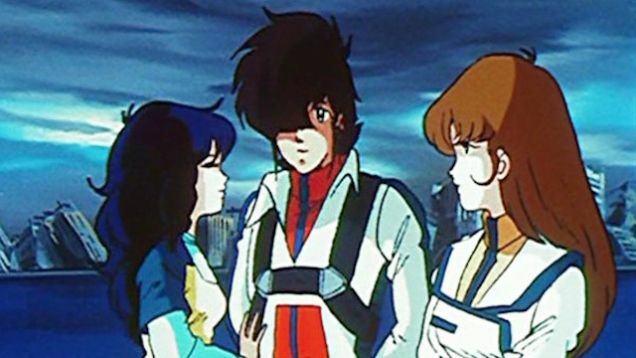 My favorite part was the love triangle story between Rick Hunter, Minmei, and Lisa Hayes. They did a great job at character development, cheesy as it was. If you wonder where I get my twisted penchant for torturing my characters, part of it comes from watching this series. I’ve written in the fantasy genre for a long time. But I should confess that there are a few science fiction type novels stewing in my creative imagination and have been there for a long time. I used to work in Intel’s Research & Development factory in the 1990’s and saw what science could do first hand. But for an author crossing genres is risky. Some fans don’t want to follow along into a new frontier. What about you? Was your first love fantasy or science fiction? Would you follow me if I took you on a different kind of adventure? Just askin! It was reading for me. I enjoyed movies, but the visuals were never as good as the movie that played in my head. A teacher tried to get me to read “The Hobbit” in 4th grade, which was okay. Then I stumbled on Robert E. Howard and Michael Moorcock on my own, which appealed more to me. Not looking forward to the Star Wars movie, sadly. The last one was (in my opinion) not that good. Hope the new one is better, but given Hollywood’s track record, I’m not counting on it. I’d like to see you take on sci-fi. Something big and akin to Dune. Epic scope. Big canvas. I’ve noticed my scifi readers don’t read my urban fantasy, and my urban fantasy readers don’t read my thrillers. You’re working with a much larger fan base, though, so your fantasy readers may follow you into a new scifi story. I have just recently found your books and love them. Thanks for intertwining the gospel into your books. Seeing them from a “fictional” view has strengthened my faith. Thank you!! I was drawn in to your book. I am neither a fan of science fiction or fantasy, but I loved THE KING’S POISONER. Your story telling skills are suited to my taste. Thank you. I will read more of your works, I am a southern fiction writer, so I also tell stories. I’m confused. Why is a Muirwood book written by Steve R. Yates? I found Jeff Wheeler on amazon kindle unlimited and have read almost all his books the past 2 months. I was just looking for one I haven’t read and see this one by Steve Yeager. Can you enlighten me please? Thank you! My Muirwood world has been licensed to the Kindle Worlds project. Authors can earn royalties by creating stories set in this world. There are several, including Colvin’s Plight by Steve Yeager as you mentioned. These are legal fan fiction.